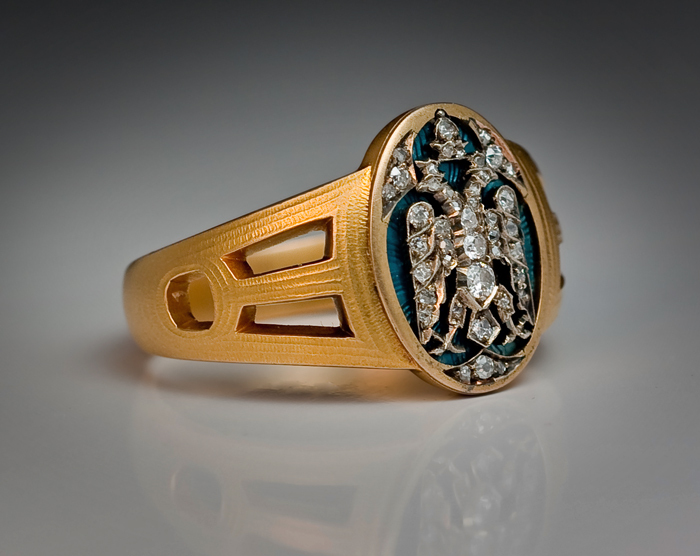 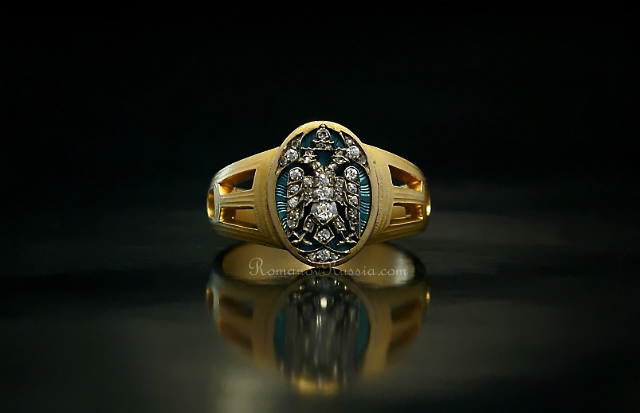 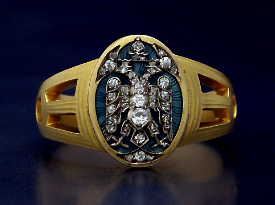 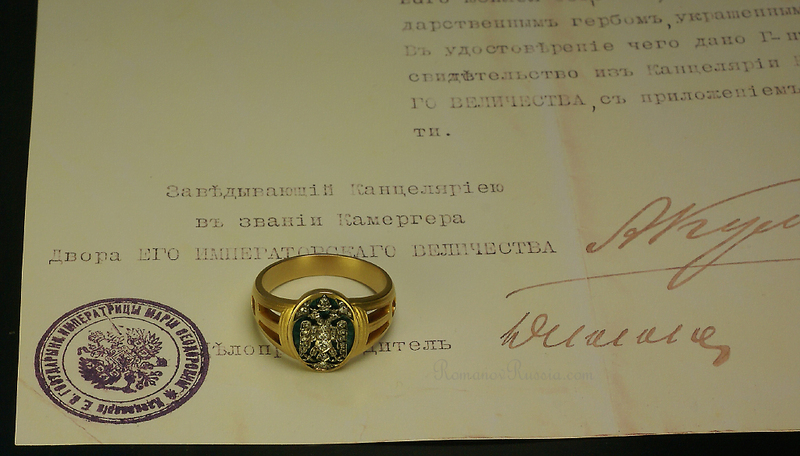 The ring is designed in Russian MODERN style of the 1910s with a medieval Byzantine double headed eagle embellished with diamonds on a bluish gray guilloche enamel ground. 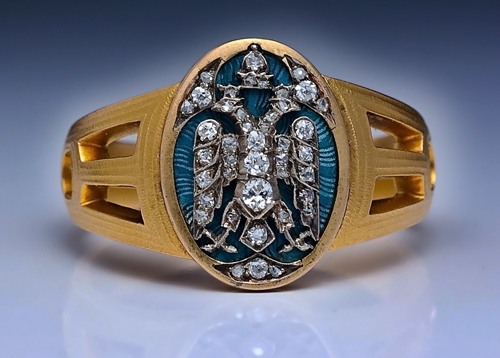 modified several times, but in the 1910s, the original Byzantine eagle was revived in decorative arts. 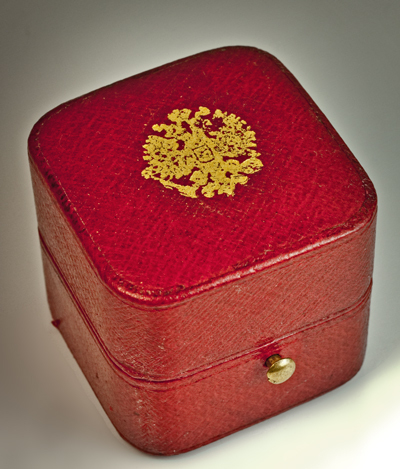 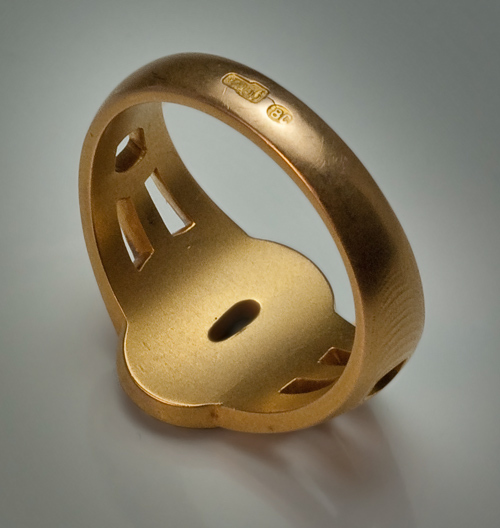 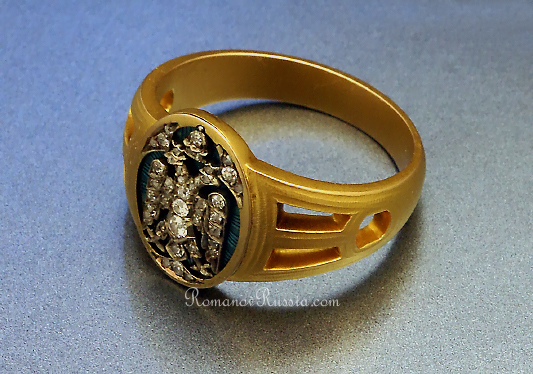 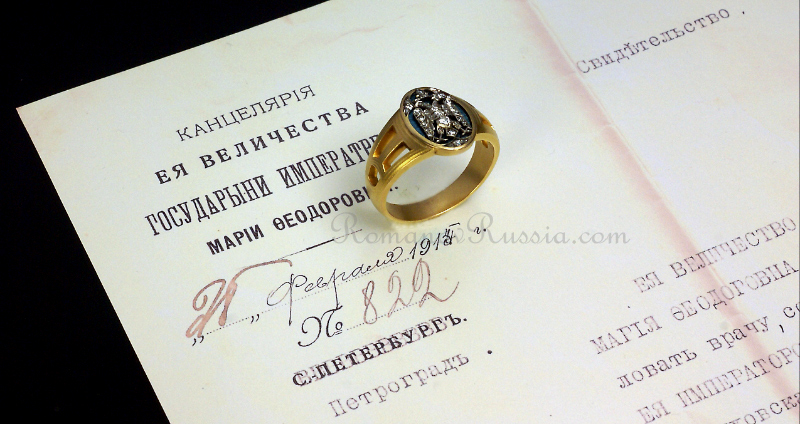 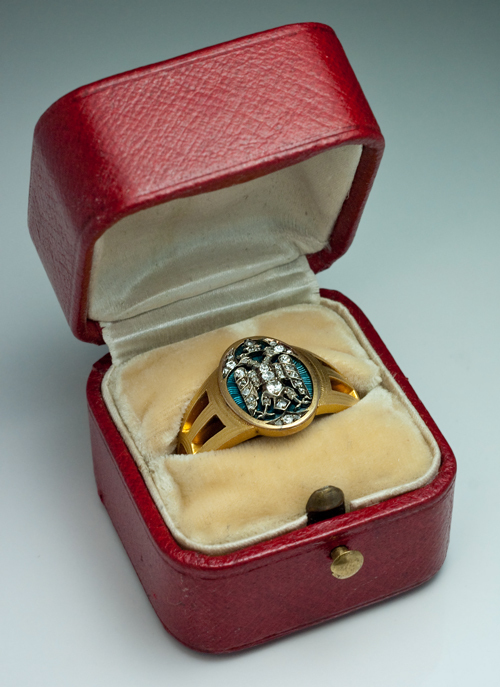 The ring was made in St. Petersburg by Faberge’s workmaster Vladimir Solovyov. 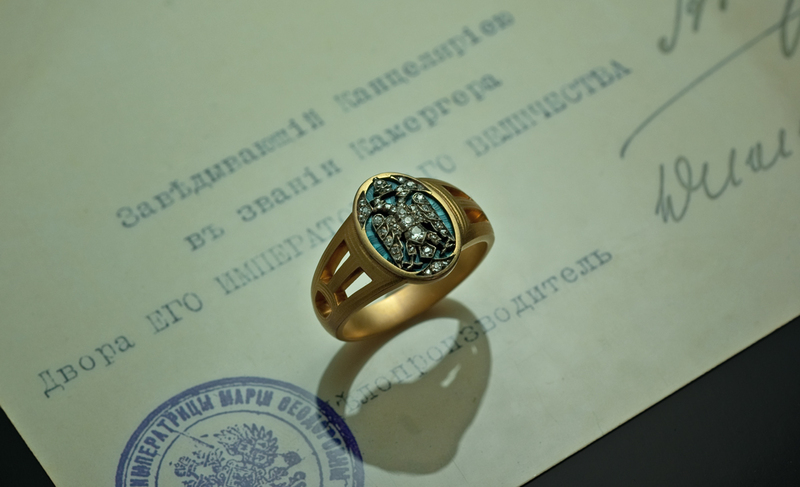 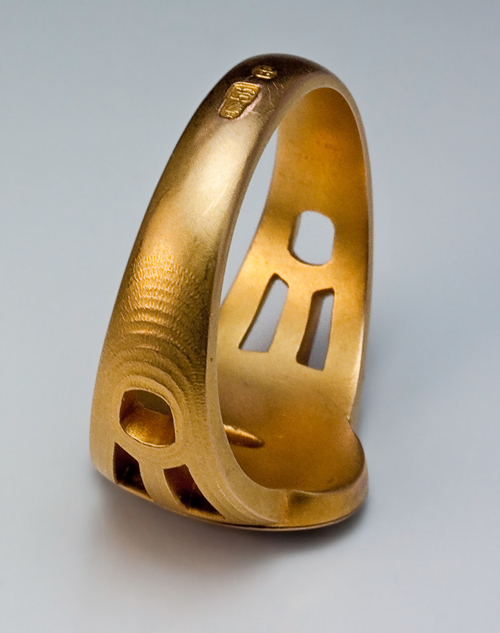 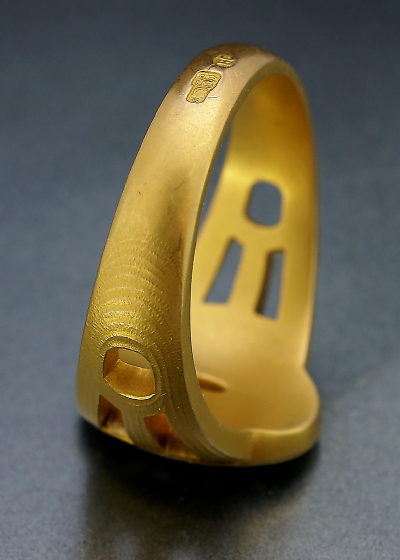 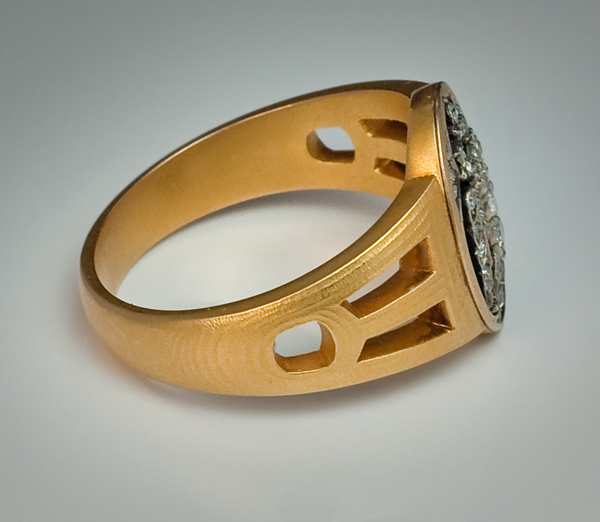 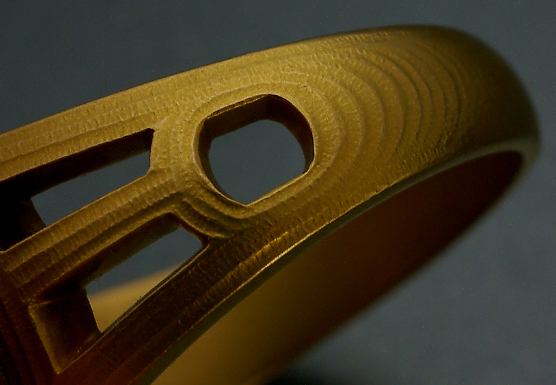 It is a very finely crafted heavy ring. 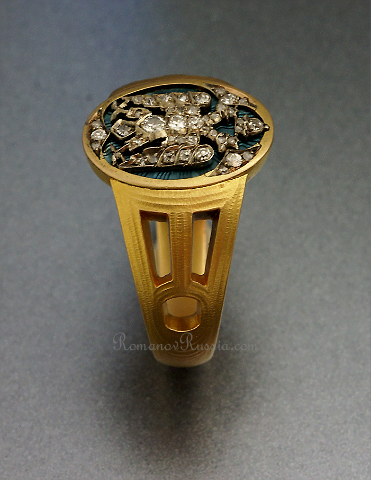 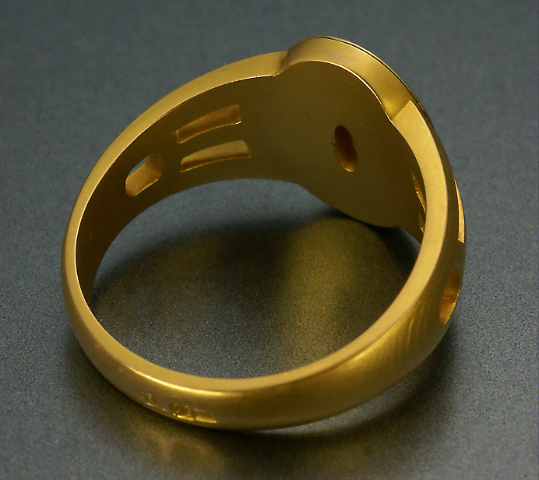 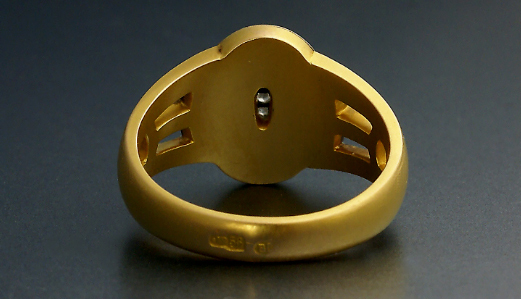 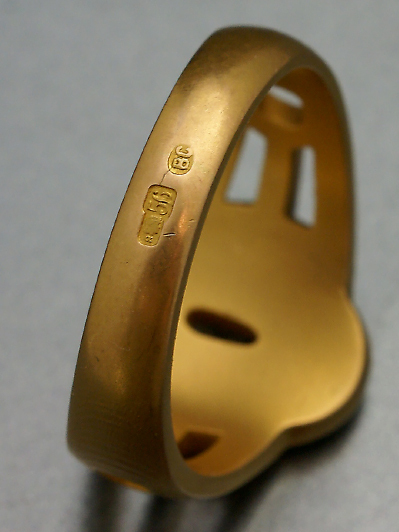 Ring size 13 (inside diameter 22,5 mm).